FIRST got into Fortune Magazine! 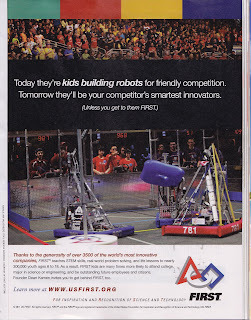 FIRST Robotics: What's this all about? Rowdy 13 is the name of my team's robot. 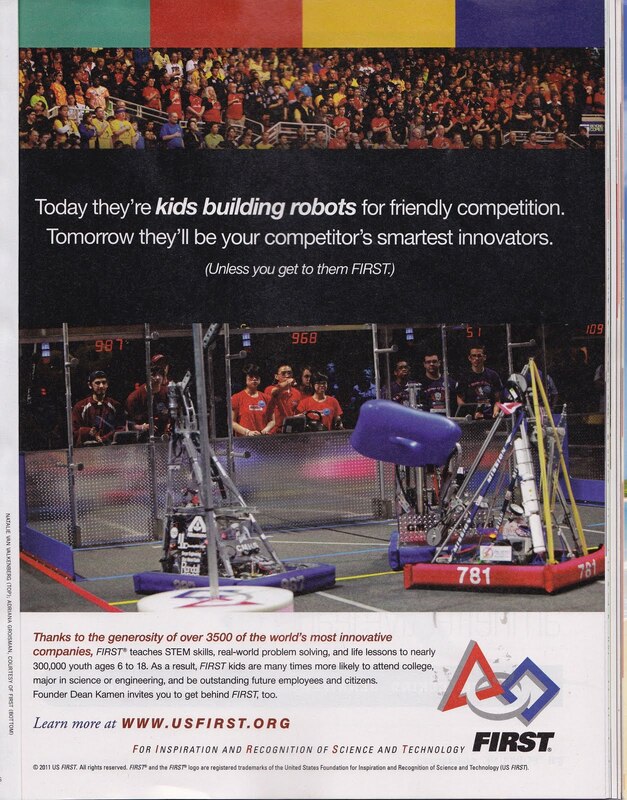 461 is a member of FIRST. FIRST stands for "For Inspiration and Recognition of Science and Technology". FIRST challenges teams comprised of high schoolers and mentors across the world to make a robot defined by the game made the respective year. Each year we have 6 weeks to imagine, design and build a robot. We then move on to regional competitions against other teams-- other competitions include district competitions, state championships, and world championships. Other aspects of FIRST include website design, animation, and outreach. And if that's not enough for you: Google it!